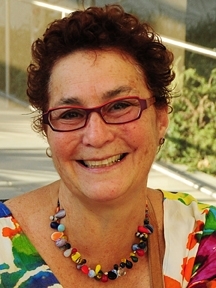 MaryAnn Wohlers Montague worked for UC Davis for more than 33 years. This image is from the Department of Entomology photo files when she worked with Extension apiculturist Eric Mussen. 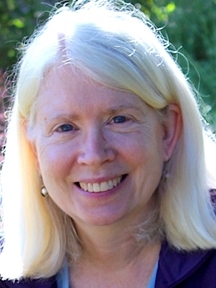 Scientist MaryAnn Wohlers Montague, a longtime UC Davis Department of Entomology staff research assistant who retired from UC Davis in 2001 after more than 33 years of service, died Thursday, July 5 in an automobile accident in Dixon. She was 77. 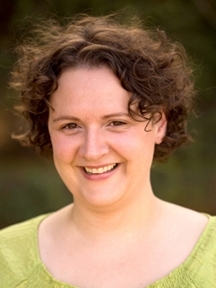 Mrs. Montague worked with Extension apiculturist Eric Mussen in research and outreach programs, including the “Adopt a Scientist Program,” which linked university researchers with high school age students to encourage young people to pursue careers in science, particularly in the field of agriculture and natural resources. She and Mussen co-authored “Adopt a Scientist—UC Davis,” published in 1997 in the Entomological Society of America's journal, The American Entomologist. She also co-authored, with Mussen and other scientists, “The Effects of Chlortetracycline of Honey Bee Worker Larvae Reared in Vitro,” published in 1992 in the Journal of Invertebrate Pathology in 1992. Mrs. Montague received two degrees from UC Davis: her bachelor of science degree in horticulture in 1963 and her master's degree in 1969. She joined the UC Davis workforce in 1967, beginning her career as an arborist, and retiring in 2001 with 33 years and four months of service to the university. 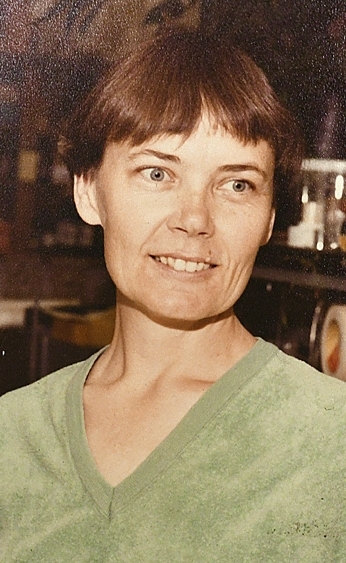 At the UC Davis Department of Entomology, she worked in several laboratories, including the lab of the late Charles Judson, an insect physiologist. 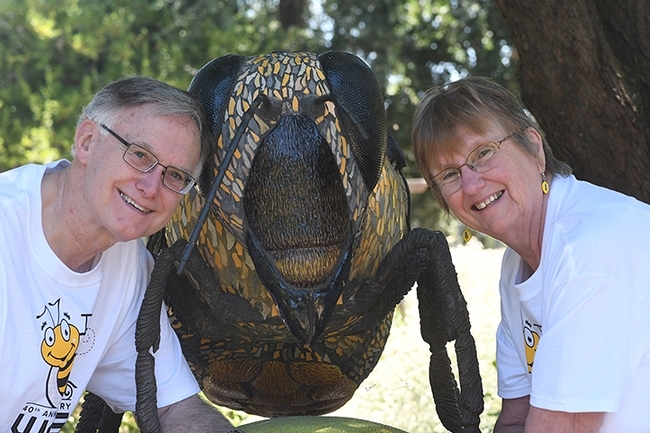 “MaryAnn was a cheerful enthusiastic person,” recalled Bruce Hammock, distinguished professor of entomology who holds a joint appointment with the UC Davis Comprehensive Cancer Center. A native of Deer Lodge, Mont., MaryAnn was born Jan. 9, 1941, one of three children born to Claus Wohlers and Mary Cleaveland Wohlers. Maryann spent her early years in Montana, and then moved to Berkeley in 1953 with her mother, Mary, and brother Norman. A longtime Dixon resident and known as a talented artist, she taught art at the Davis and Dixon senior centers and participated in art exhibits throughout the area, her friends recalled. She exhibited her watercolors at numerous art shows. She joined the Baha'I Faith in 1965. Her other interests included researching her family history, and attending the Gorman Museum at UC Davis. Married twice but with no children, she was preceded in death by most of her family members. She is survived by six nieces and nephews: the children of her late sister, Beth Tietjen of New Mexico; and three nieces and nephews, the children of her late brother, Norman Wohlers of Davis. Services will be held at 10 a.m., Monday, July 16 at the Smith Funeral Home, located at 116 D St., Davis. Burial will follow in the Davis Cemetery on Pole Line Road. For 38 years, Extension apiculturist Eric Mussen did everything he could to help the honey bees. Today a nationally awarded plaque “bee-speaks” of his work. 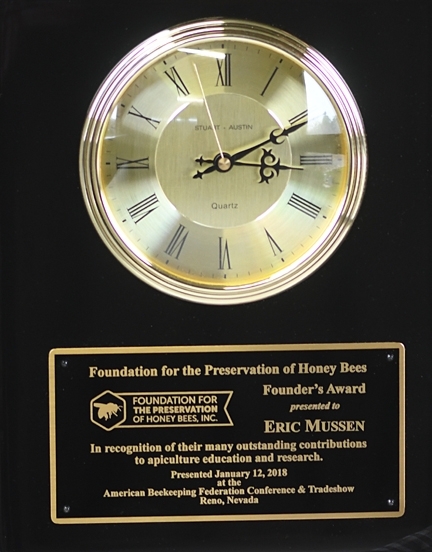 Mussen is the recipient of the 2018 Founders' Award from the Foundation for the Preservation of Honey Bees, presented Jan. 12 at the 75th annual American Beekeeping Federation (ABF) conference in Reno. “He received a well-deserved rousing standing ovation!” said president Gene Brandi of Los Banos, who presented him with the plaque and praised him as a outstanding liaison between the academic world of apiculture and real world beekeeping and crop pollination. Considered by his peers as one of the most respected and influential professional apiculturists in the nation, Mussen was known as the “pulse on the bee industry” and as "the go-to person" for consumers, scientists, researchers, students, and the news media. Mussen retired in 2014 but continues answering bee questions. 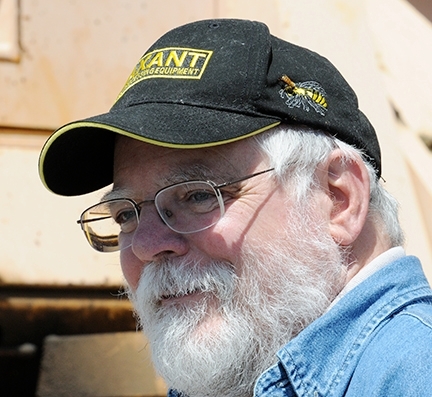 As an emeritus, he maintains an office in Briggs Hall, UC Davis Department of Entomology and Nematology. 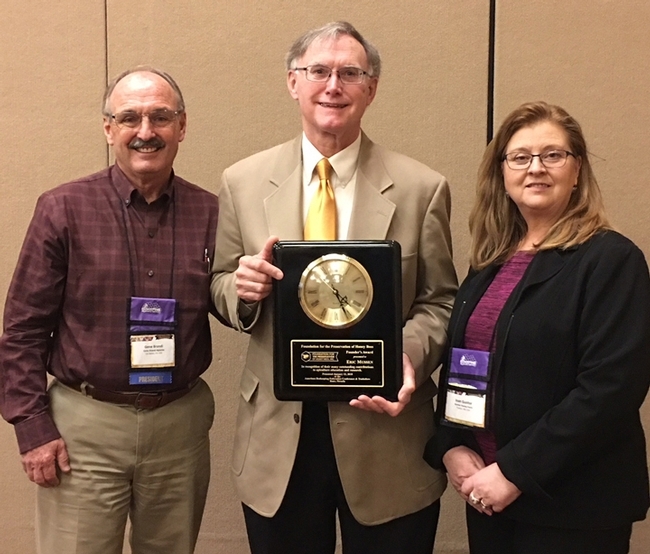 Previous recipients of the coveted award include the husband-wife team of James and Maryann Frazier, professor and Extension apiculturist, respectively, from Pennsylvania State University, University Park; former research leader Jeff Pettis, U.S. Department of Agriculture's Beltsville (Md.) Bee Laboratory; and multi-state commercial beekeeper David Hackenberg of Hackenberg Apiaries, who sounded the alarm about colony collapse disorder (CCD) in 2007. The ABF is a 4700-member national organization dedicated to ensuring the future of the honey bee, Brandi said. The Foundation for the Preservation of Honey Bees, headed by president Joan Gunter of Towner, N.D., is a charitable research and education foundation that aims to preserve and protect honey bees. 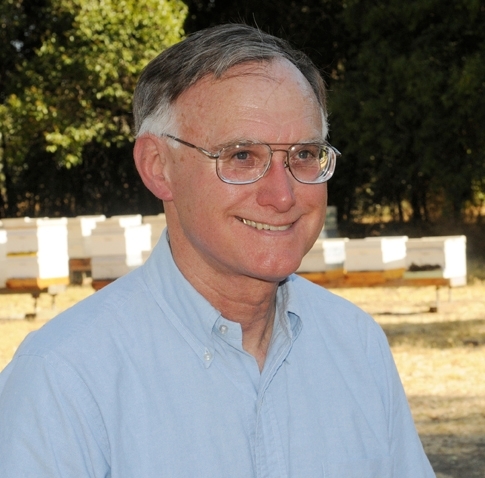 Mussen, recipient of numerous state and national awards, has been described as the “premier authority on bees and pollination in California, and is one of the top beekeeping authorities nationwide" and “a treasure to the beekeeping industry... he is a walking encyclopedia when it comes to honey bees." 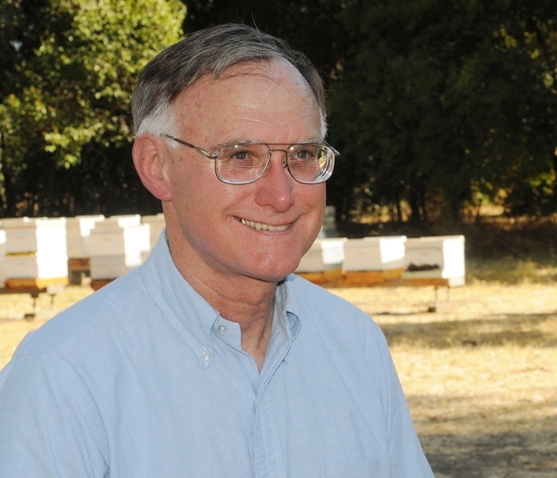 Mussen served as a longtime board member of the California State Beekeepers' Association (CSBA) and a consultant for the Almond Board of California. He co-founded the Western Apicultural Society (WAS), serving six terms as president, the last one during the 40th anniversary meeting at UC Davis in 2017. He also was involved in the formation of the American Association of Professional Apiculturists (AAPA) and held the offices of president or treasurer of that association for many years. Shortly after he retired, both the CSBA and WAS created an Eric Mussen Honorary Award to present to its outstanding members. For 38 years, Mussen wrote and published the bimonthly newsletter, from the UC Apiaries, and short, topical articles called Bee Briefs, providing beekeepers with practical information on all aspects of beekeeping. His research focused on managing honey bees and wild bees for maximum field production, while minimizing pesticide damage to pollinator populations. Eric Mussen in 1976, the year he accepted his position as Extension apiculturist, based at UC Davis. He delivered keynote addresses at the California State Beekeepers' Association (CSBA) and at the American Honey Producers' Association conventions. 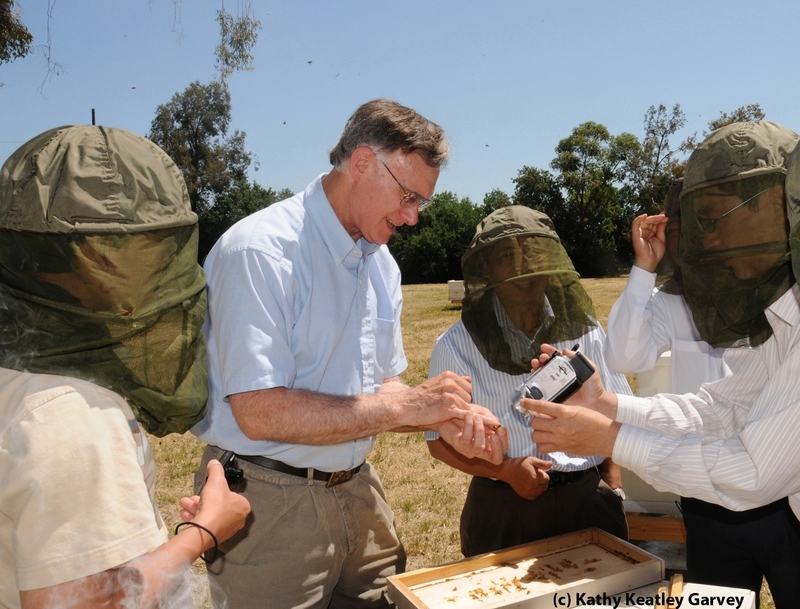 In addition, he held leadership roles in the CSBA, the California Bee Breeders' Association, California Farm Bureau Federation, American Honey Producers' Association, National Honey Board, American Beekeeping Federation, and the Northern California Entomology Society, among others. 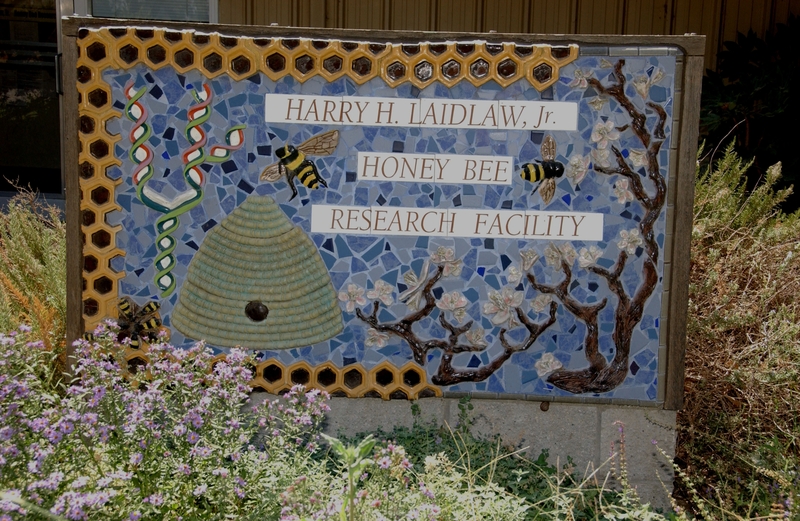 He represented UC Davis on the California State Apiary Board, and continues to offer input to the California Department of Food and Agriculture on various bee matters. 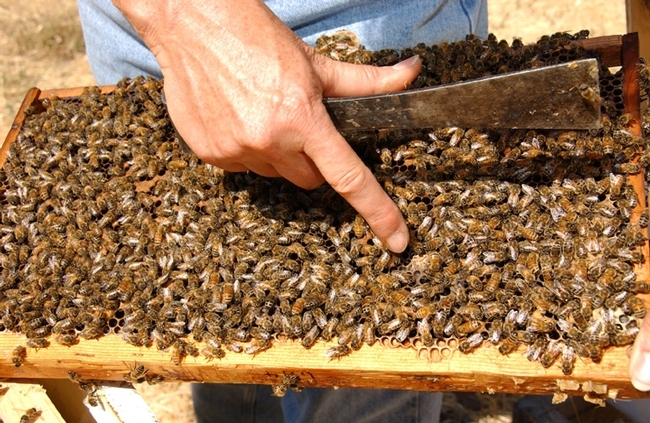 Mussen worked closely with Cooperation Extension, California Department of Food and Agriculture, California Department of Pesticide Regulation, the California Farm Bureau Federation, researchers in the UC system, researchers at the USDA/ARS honey bee laboratories at Beltsville, Md. ; Baton Rouge, La. ; Tucson, Ariz., Weslaco, Texas, and the U.S. Environmental Protection Agency, among others. 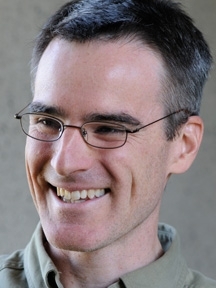 Highly sought by the news media for his expertise on bees, Mussen has appeared on the Lehrer Hour, BBC, Good Morning America, and quoted in the New York Times, National Public Radio, Boston Globe, and Los Angeles Times, among others. 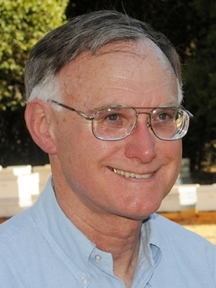 Highly honored by his peers, Mussen received the 2006 California Beekeeper of the Year award, the American Association of Professional Apiculturists' 2007 Award of Excellence in Extension Apiculture, the 2008 Distinguished Achievement Award in Extension from the Pacific Branch of the Entomological Society of America; the 2010 statewide Pedro Ilic Outstanding Agricultural Educator, and was a member of the UC Davis Bee Team that won the 2013 team award from the Pacific Branch of the Entomological Society of America. His other awards include the 2013 Alexander Hodson Graduate Alumni Award from the University of Minnesota; and the 2014 Distinguished Service Award for Outstanding Extension from the UC Agriculture and Natural Resources (UC ANR). 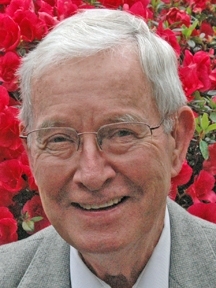 As Extension apiculturist, he served on various committees and task forces of state and national organizations, reviewed numerous manuscripts for journals; reviewed annual research proposals to the California State Beekeepers' Association, the Almond Board of California, and the National Honey Board; and reviewed Small Business Innovation Research applications at the federal level. He assisted U.S. beekeepers in writing letters to receive compensation from the U.S. Department of Agriculture for their CCD bee losses. During his tenure as Extension apiculturist, Mussen traveled to beekeeping clubs throughout the state, addressing some 20 beekeeping organizations a year. 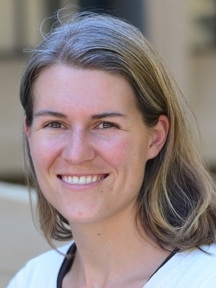 For the last 10 years, Mussen conducted the California State 4-H Bee Essay Contest, disseminating guidelines, collecting entries and chairing the judging. A native of Schenectady, N.Y., Mussen credits his grandfather with sparking his interest in insects. His grandfather, a self-taught naturalist, would take his young grandson to the woods to point out flora and fauna. As a child, “my only concern was what if, by the time I went to college and became an entomologist, everything we wanted to know about insects was known,” Mussen related. Mussen turned down a football scholarship at Harvard to attend the University of Massachusetts, Amherst, where he obtained his bachelor's degree in entomology. This is also where he met Helen, his wife of 48 years. 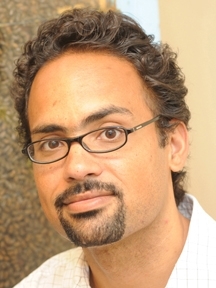 He holds a master's degree and doctorate in entomology from the University of Minnesota, St. Paul. His doctoral research focused on the epidemiology of a viral disease of larval honey bees, sacbrood virus. "During those studies I also was involved in studies concerning sunflower pollination and control of a microsporidian parasite of honey bees, Nosema apis," Mussen recalled. "Now a new species of Nosema has displaced N. apis and is even more difficult to keep subdued." Today, in between his family commitments (he and his wife have two sons and two grandchildren) Mussen engages in birding, singing doo-wop and reviewing grant proposals: he reviews funding proposals for Project Apis m., which makes funding decisions and handles the funds for the National Honey Board and other entities; and serves on the scientific review panel for the Bee Informed Partnership (BIP) organization, which reviews funding requests of tech teams. 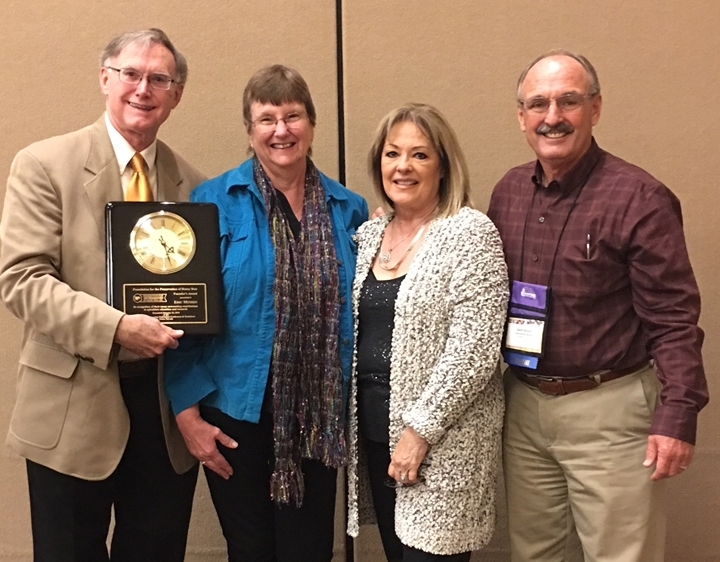 Gene Brandi (left), president of the American Beekeeping Federation and Joan Gunter, president of the Foundation for the Preservation of Honey Bees, with Founders' Award recipient Eric Mussen. Eric and Helen Mussen (at left) of Davis with Gene and Christine Brandi of Los Banos. This image was taken shortly after Mussen received a standing ovation. It will be Sept. 5-8 at the University of California, Davis, when the Western Apicultural Society (WAS) will gather for its 40th annual conference. 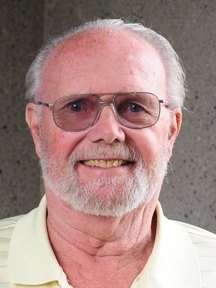 Most events will take place in the UC Davis Activities and Recreation Center (ARC) and surrounding facilities associated with the UC Davis Department of Entomology and Nematology, said Extension apiculturist emeritus Eric Mussen who is serving his sixth term as president of the organization, which was founded at UC Davis. Bee scientists and beekeepers will be among the speakers. It's a conference filled with educational topics, networking, field trips, a silent auction and door prizes, said Mussen, who retired in 2004 after 38 years of service. He continues to maintain an office in Briggs Hall, UC Davis Department of Entomology and Nematology. 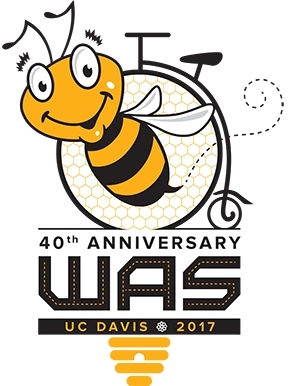 UC Davis artist Steve Dana created the conference T-shirt featuring a bee on a high wheeler bicycle or penny-farthing, symbolizing UC Davis. The t-shirt can be ordered on the WAS website at http://www.westernapiculturalsociety.org. The conference registration form, speaker program and other information are online. DAVIS—Monday, July 31 is the pre-registration deadline to attend the Western Apicultural Society's 40th annual conference, to be held Sept. 5-8 at the University of California, Davis, where the organization was founded. Extension apiculturist emeritus Eric Mussen, who is serving his sixth term as president of the Western Apicultural Society (WAS), says those registering early will save $50. “There will still be an opportunity to register after July 31 but you won't get the ‘early bee' special,” he said. 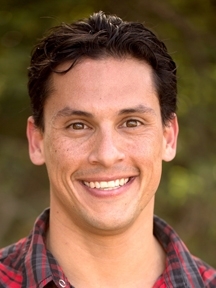 Other presenters will include beekeeper Serge Labesque of Glen Ellen, Sonoma County, who advocates selecting local bee stocks that can handle the problems of current-day beekeeping. Amina Harris, director of the UC Davis Honey and Pollination Center will lead a formal honey tasting, and Sarah Red-Laird of Oregon, executive director of Bee Girl and the American Beekeeping Federation's Kids and Bees Program director, will present a breakout session on “Beekeeping Education/Honey Bee Conservation." See program schedule.